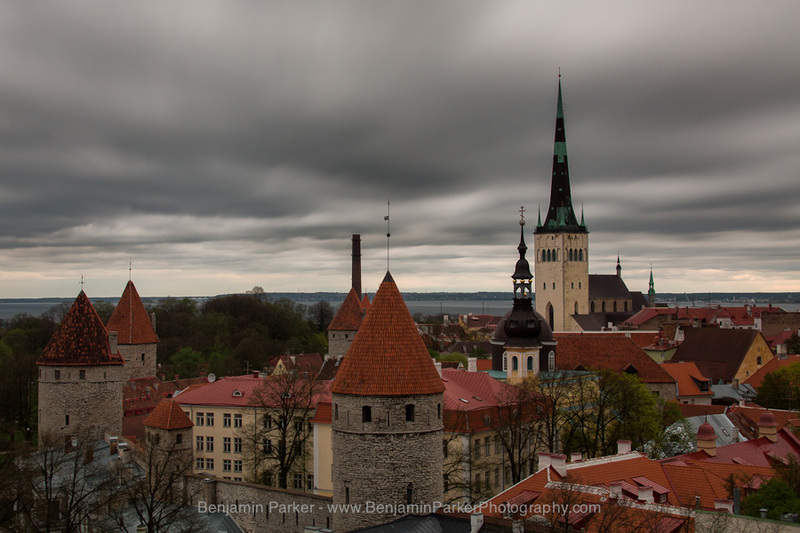 Tallinn, Estonia on a cloudy spring day. On the right you can see St. Olaf's Church towering over the medieval eastern european city. This tower was the tallest building in the world from between 1549-1625 - amazing.